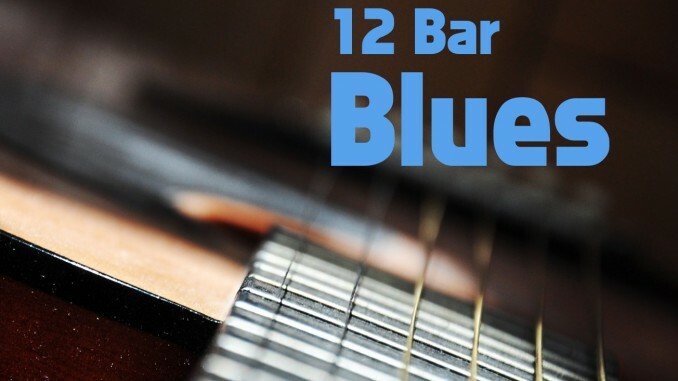 Learn the 12 Bar Blues in style. This lesson covers the traditional, quick change, and shuffle blues. 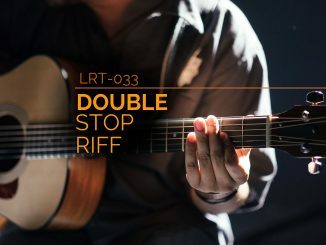 It includes the first chords you should know and some substitutions that you can try. I even cover the blues scale. Four Dominant Blues Chords that you can use in the 12 Bar Blues. 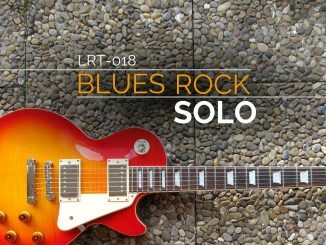 Intro to soloing with the Blues Scale. 12 Bar Blues progressions are usually played with dominant chords. This lesson will use dominant 7th, dominant 9th, and dominant 13th chords. All are common voicings that you should learn. Below are some common dominant chords that will be used in this lesson. Measure 1: C7 rooted on the 6th string, 8th fret. Measure 2: C13 rooted on the 6th string, 8th fret. Measure 3: C7 rooted on the 5th string, 3rd fret. Measure 4: C9 rooted on the 5th string, 3rd fret. For those who don’t know, the roman numerals represent the degree of the major scale. The C major scale consists of the following notes: C, D, E, F, G, A, B. So in the key of C: I7 = C7, IV7 = F7, V7 = G7. This next example is the most basic form of the 12 bar blues in the key of C using the chords C7, F7, and G7. I kept it simple by showing whole notes, but I would try quarter ntoes. nicely into the I chord and helps the listener realize the song is going to repeat. Playing the V chord is the most basic type of turnaround, aptly named because it turns the song around to the beginning. When the band wishes to finish the song, they’ll finish with the I chord. In the next example, we’re going to use our chord substitutions that we discussed at the beginning of this lesson. This example uses C13, F9, and G9. A common variant of the 12 bar blues is to use a quick change. To play it, you change measure 2 from a I chord to a IV chord. This variant can be played with or without a turnaround. In the notation below, I notated a repeat sign to indicate the use of a turnaround. This example adds the quick change while also changing the key to Bb. Notice that I mixed the chords. Feel free to substitute other chords if you are struggling with these voicings. If you struggle to remember which chords to play for the IV and V chord, you can use the circle of fifths. Locate the key on the circle, or the I chord. Let’s use Bb as an example. Move one position counter-clockwise to find the IV chord, which is Eb. Move one position clockwise form the I chord to find the V chord, which is F.
The shuffle rhythm is very common in the blues. It is played by “swinging” your eighth notes. This means that you play your eighth notes loosely so the first note lasts twice as long as the second note. If you are familiar with triplets, it’s the same as tie-ing the first two notes of eighth note triplets. When playing a shuffle, eighth Notes last one beat but the first eighth note is twice as long as the second eighth note (as pictured). To truly understand the shuffle feel, first play straight eighth notes, which are eighth notes without a shuffle feel. Then play it with a shuffle feel. Now that you know the difference between straight eighths and shuffle feel, let’s apply this to a simple 12 bar blues progression using power chords in the key of E. Progressions like this are commonly used in both blues and rock. chord (ex: E5 to E6). The examples below should clarify this concept further. The great thing is that it can be played in any key or fretboard position. We’ll start by playing it in open position in the Keys of E and A. There are three 5 to 6 moves required to play the 12 bar blues in the key of E: E5 to E6, A5 to A6, and B5 to B6. Because there is no open B for the B5 to B6 move, we’ll play B5/A to B6/A (essentially replacing the B with an A). This chord represents the V chord of the 12 bar blues. As you probably noticed earlier, replacing the root note on the B5 to B6 is usually not desirable, but it works in this situation. The good news is that you don’t have to make this sacrifice. You can move the 5-6 pattern down the fretboard. With a little finger stretching, you’ll have this pattern mastered. The example below shows the true B5 to B6. You’ll notice that this is an A5 to A6 shuffle moved down the fretboard by two frets. To play this movable pattern, you’ll need to stretch your pinky finger to reach the B6 chord. It is tough but you’ll get it with practice. To play the shuffle in E in fifth position you need to use the movable shuffle pattern. To keep things simple, I’m going to give you a simple box pattern of the blues scale to start playing over a 12 bar blues progression. 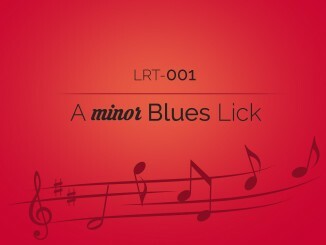 Play a backing track (We will use a 12 bar blues in E for this lesson – see below). For each measure play notes from the E blues scale that you just learned. The note order is not important. At the end of each measure play the root note (in this case it is E). E is located on the open 6th string, open 1st string, and the 2nd fret of the 4th string. Give it a try and have some fun. Future lessons will cover more details on soloing and improvisation. I hope you enjoyed this lesson on the 12 Bar Blues! If you have any questions or recommendations to improve this lesson, contact me to let me know! I’d love to hear from you. Practice these progressions at various tempos. Use a metronome. I recommend practicing at four different tempos: 60bpm, 80bpm, 100bpm, and 120bpm. Record yourself playing the 12 bar blues. Check out my other blues lessons, licks, backing tracks, etc. I am adding them as fast as I can. Thank you for the kind words! I am glad that you are enjoying my content. Patrick, I gotta say, nice work! Top quality content there on the 12 Bar blues bit you just sent me. That’s what I calla whole lot a punch in a shot glass of space.